If you’d like to use Active-Domain.com as your registrar, follow these steps once you’ve purchased the Use Your Own Domain Name premium service. In this example, I will be mapping my Ning social network foryourcountry.ning.com to my domain, foryourcountry.net. 1. 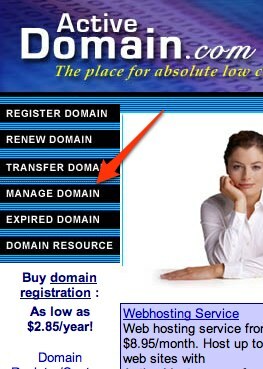 Once you’ve purchased this service and your domain, navigate back to http://www.active-domain.com/ and click on the “Manage Domain” link. 6. Once you are done, click the “Modify” button at the bottom of the page. You should be all set! Keep in mind that it can take up to 48 hours for these changes to propagate and for you to be able to access your network at your newÂ domain.